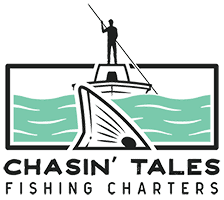 My 22 foot Pathfinder bay boat is designed with one thing in mind – fishing! 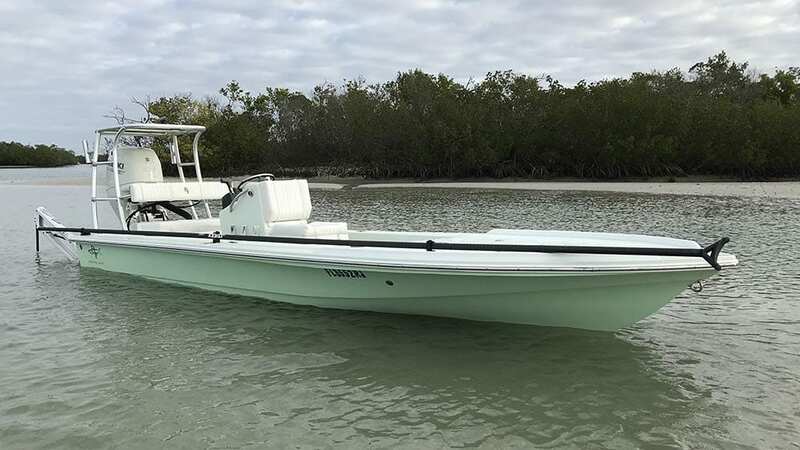 The Pathfinder is a very versatile, stable, dry running boat, specifically designed for fishing the shallow bays and estuaries that are common in Naples, Marco Island and the surrounding Southwest Florida region. The boat has both front and rear casting decks, so it has plenty of room to fish up to four anglers and is well equipped with a 200 hp. Yamaha HPDI, dual Power Poles, remotely controlled 80 lb. thrust Minnkota Terrova trolling motor, Lowrance HDS chartplotter/fishfinder, 16 rod holders, 35 gallon live well, a leaning chair on the front deck and 2 Engel Coolers to keep those fish iced down and beverages nice and frosty. What Beavertail came up with when designing the Strike is a skiff that has one of the smoothest rides in it’s class. 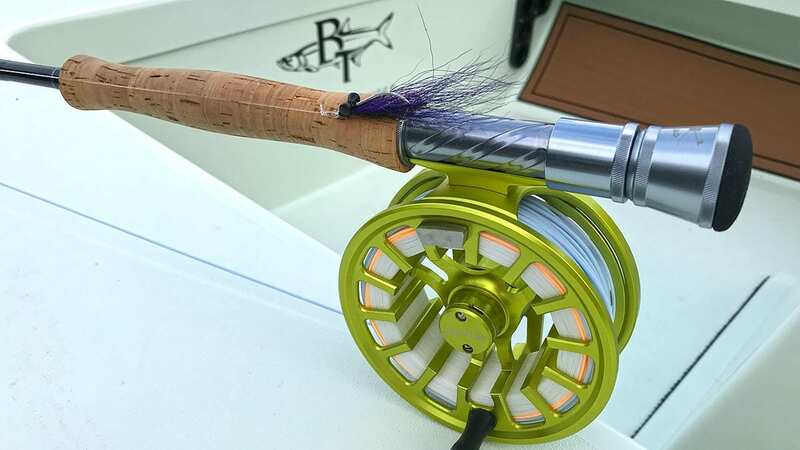 Their thought was to create a boat that was able to fish the rougher waters along the coast for migrating tarpon, while still being able to run and pole in the skinnies of the backcountry, and boy did they hit the mark. The Strike can run in 5 inches of water and couldn’t be more perfect for stalking wary fish. This custom built Strike is set up for one or two anglers and is equipped with a 90hp Suzuki, 6ft Power Pole, Simrad Chartplotter/fishfinder, a detachable 54 lb. thrust Minnkota Terrova trolling motor, 21 ft. Stiffy Guide push pole and eight 10 ft. under gunnel rod tubes. The Parker is a solid, stable fishing platform that is tried and true. 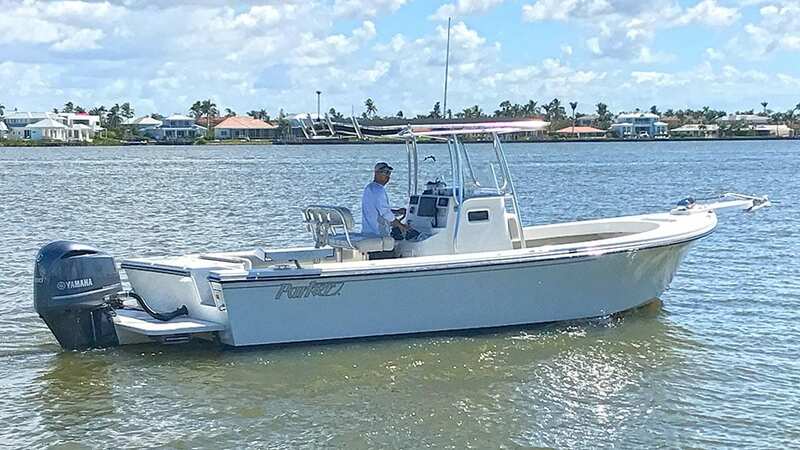 It is the perfect vessel for fishing the near shore waters of Florida’s paradise coast, and can be utilized to target almost anything that swims in The Gulf of Mexico. From snapper and grouper to permit, kingfish and tarpon, no fish is safe when fishing out of this center console, and because the boat is equipped with an Armstrong bracket, it has the ride and feel of a much larger vessel. 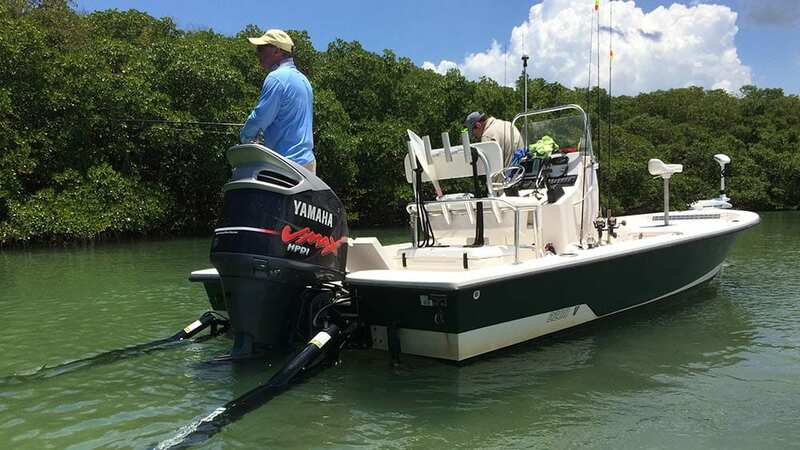 The boat is powered by the most dependable motor on the market… the Yamaha F300, and is capable of fishing 6 anglers comfortably. It is equipped with a large T-top, (for those who like a little shade when fishing), 2 large live wells, a large fish box, plenty of comfortable seating, a Garmin GPS/bottom machine and a fully enclosed head. 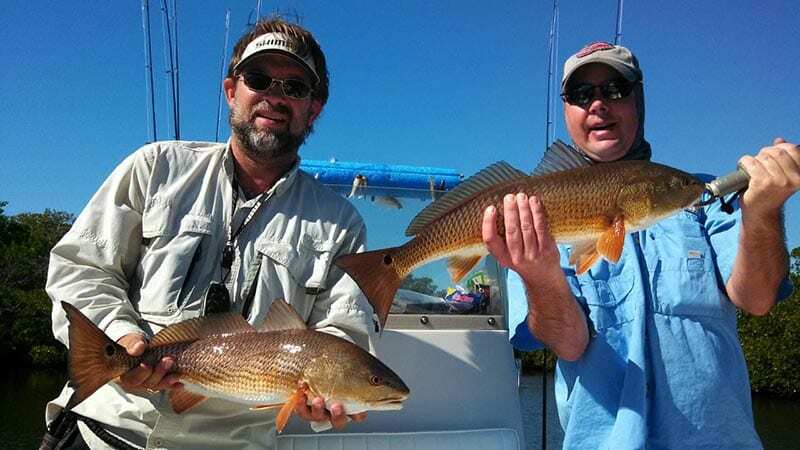 Learn more about the inshore fishing charters that we offer here in the Napes area. It’s a great trip for couples, families, and corporate outings. We offer fly fishing adventures for all skill levels. Change to… Whether a beginner, novice or seasoned fly angler, you’ll have a blast! Tarpon fishing in Naples is absolutey amazing. 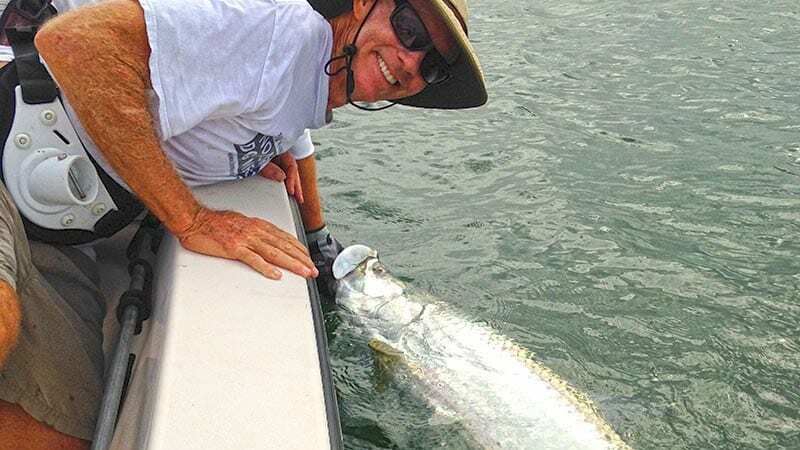 If you have never caught a tarpon before, you owe it to yourself to go on a tarpon fishing charter.